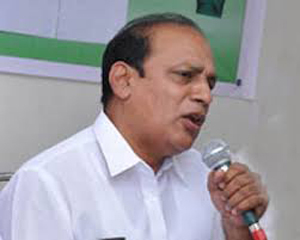 Udupi,Aug 23, 2015 : speaking at the Jana Mana interaction programme with beneficiaries of various government schemes, organised by the district administration and responding to a questions, Vinay Kumar Sorake, Urban Development Minister, said on Aug 22, Saturday that priority would be given to opening fair price shops in remote areas of Udupi district. Minister Sorake said that if there was demand from people in remote areas for a fair price shop, it would be opened in a place easily accessible to them. It was difficult for the people in remote areas to travel to fair price shops which were far away. Efforts would be made to provide all essential items by the 10th of every month at the fair price shops. As a result, people need not visit these shops repeatedly to get essentials. Rajeshwari, another beneficiary, said that government should provide rice under the Anna Bhagya scheme at either Rs. 3 per kg or Rs. 5 per kg as this would benefit the agricultural sector in the long run, rather than giving it free of cost. Mr. Sorake said that there was an argument that providing rice free of cost would make people lazy but there were poor people who found it difficult to have a square meal a day. The intention of the scheme was to cater to such people. The larger objective was to make Karnataka a “hunger-free State,”. A high school student, said that milk should be provided twice a day in schools under the Ksheera Bhagya scheme. Another student, said that malt powder should be supplied along with milk so that it could be made tastier for the students. The minister said that he would make these suggestions to the Chief Minister. Adiga, a farmer, said that wild animals including wild boars, wild oxen and monkeys were destroying agricultural and horticultural crops in the villages. The compensation given by the forest department for the destruction of crops was too meagre. Farmers had been demanding licences for possessing rifles so that they could shoot in the air to scare away wild animals. The government should provide insurance coverage for destruction of crops by wild animals. Minister Sorake said that the farmers should take to erecting solar fencing to keep wild animals away. The government was providing 50 per cent subsidy for erection of solar fencing. He directed Deputy Commissioner R. Vishal to look into the issue of providing licences for rifles.